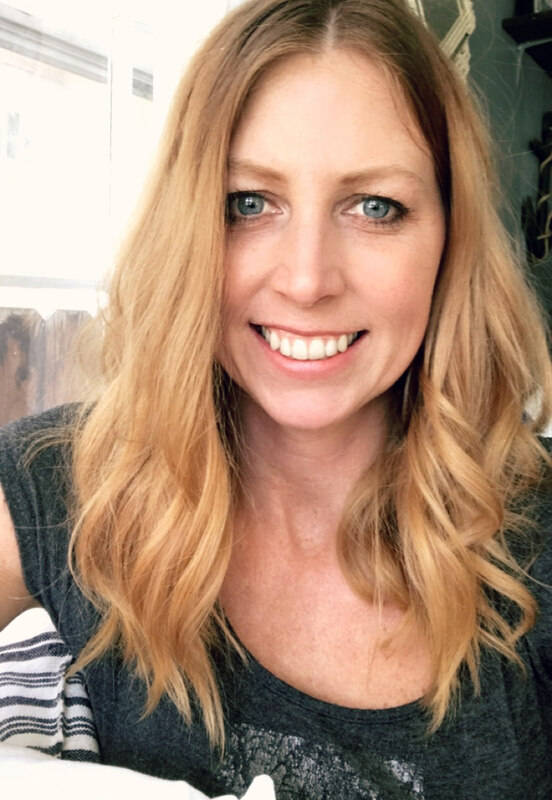 You know how when I share my home decor ideas and craft projects they are always super simple? Well it should be no surprise that my home cooking and the food that I eat is all super simple as well. What can I say, I live the simple life. That, or else maybe it's because I'm not the best cook. Either way, I like salads! I do! I eat a lot of salads. But my salads rock! 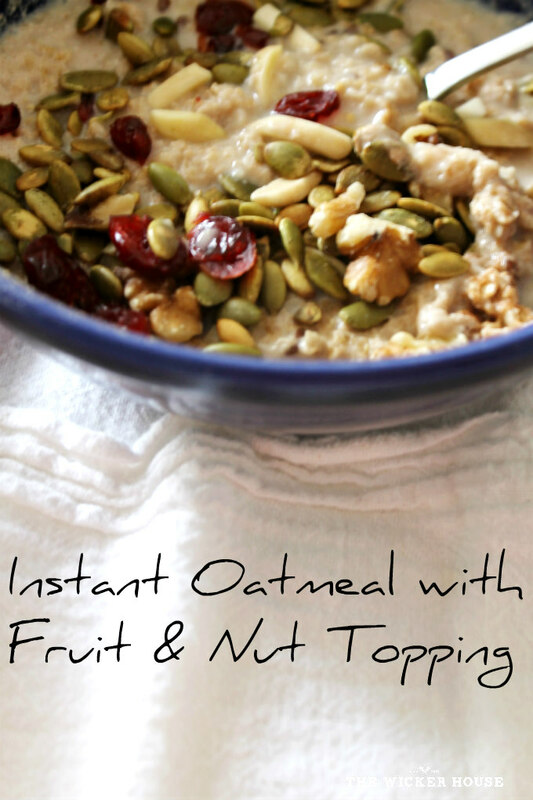 Especially with this dried fruit and nut topping recipe that I'm going to share with you today. I shop at Albersons because I kinda have to, it's the only grocery store in our small town. Well Albersons sells a wide selection of these dried fruits and nuts. I'm always picking up different ones every time I go shopping. 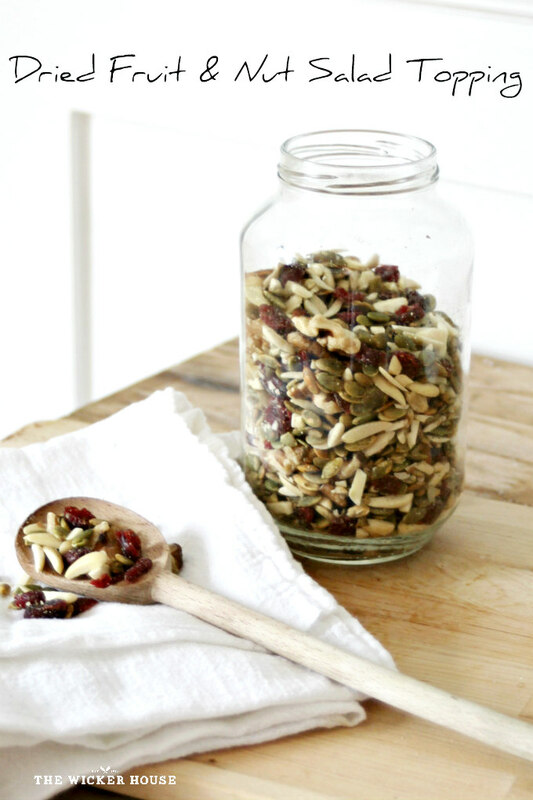 I used roasted pumpkin seeds, walnut halves, slivered almonds and dried cranberries. 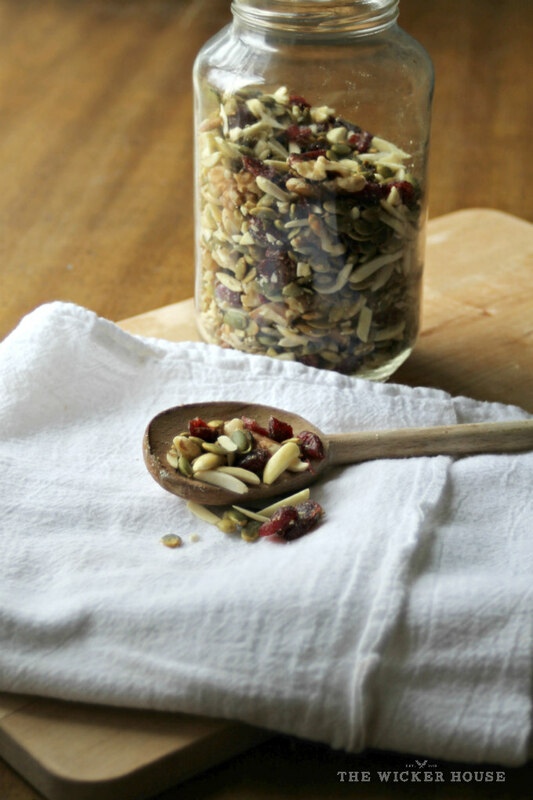 However, you can make this topping with whatever dried fruits, seeds, and nuts you want. 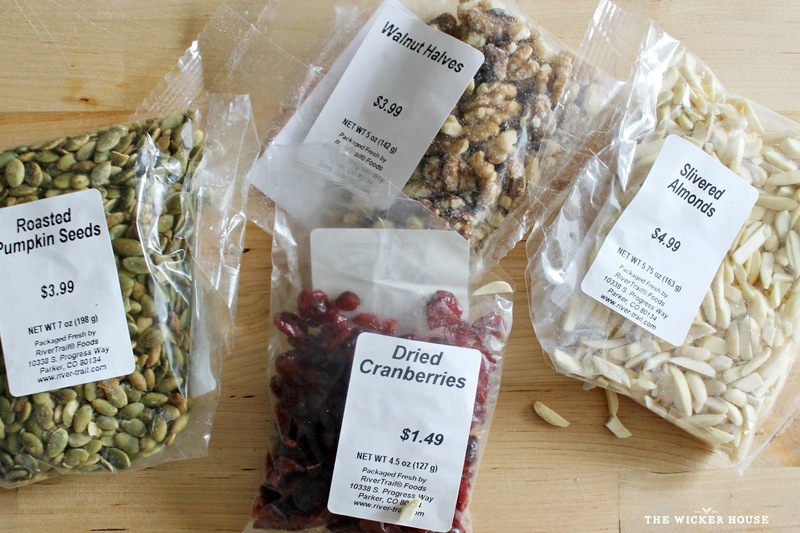 Other ideas could be; sunflower seeds, cashews, pine nuts, coconut, raisins or dried cherries. It's fun to mix and match and come up with your own fruit and nut blend. I emptied all of my bags (which are all about 1/2 - 3/4 cup each) into a large Ziplock sack. Mixed it all up, and poured into a large jar. By having it already mixed up, it is then so convenient to add to any salad. I love it on my oatmeal. I buy organic instant oatmeal and cook it with almond or an almond and coconut blend milk, sprinkle on my dried fruit and nut topping, sometimes I'll even add some fresh fruit like a banana. I like to come up with new salad ideas, I'm always putting together different combinations of proteins, fruits and dressings. Usually it's all about what I have on hand. 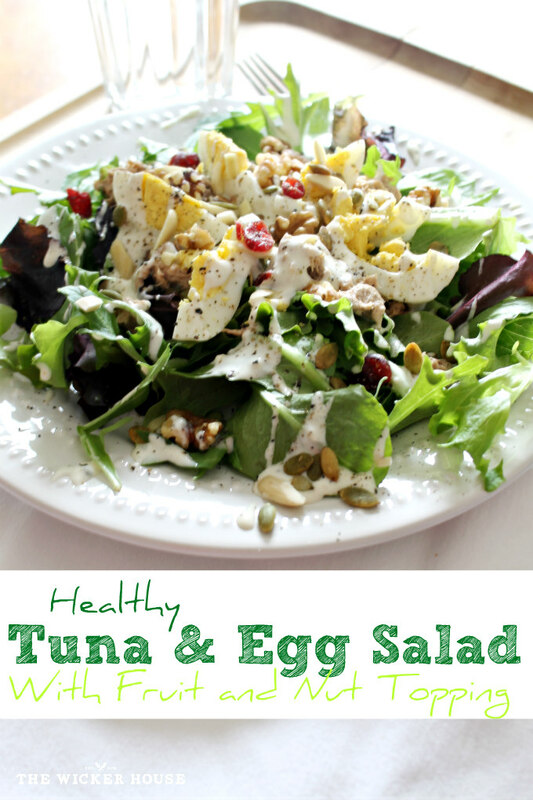 For this healthy tuna and egg salad, I start off with an organic spring mix salad bag which included romaine, chard and spinach. I mixed a package of tuna fish with a small amount of mayo and add it to the greens. I added one sliced hard boiled egg, and then topped it all off with a tablespoon of blue cheese dressing, salt, pepper and two tablespoons of my dried fruit and nut topping. Love your recipes. Let me try this at home or maybe have my own nut business :D Thanks for sharing! It looks so delicious and healthy. I can recommend this recipe to my friends. Thank you so much. Good job.